PAS is dedicated to designing and installing highly efficient Electrical, Mechanical and Alternative Energy Systems to complement and complete your lifestyle. We are a family owned, full service Residential and Commercial Electrical, Mechanical and Alternative Energy Outfit since 2001. Our projects include Residential, Commercial, and Retail ranging from New Construction, Renovation, Additions and Remodels. 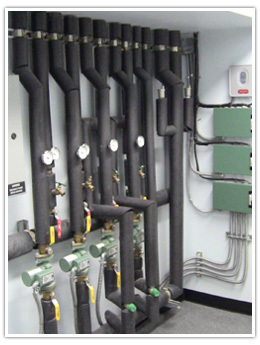 We have designed and installed Radiant Heat Systems, Electrical and Mechanical Systems, Alternative Energy Systems and PHILL FuelMakers for custom homes as far north as Gualala and as far south as Gilroy. We pride ourselves in being able to provide creative solutions to potential road blocks and problems in any home or building. In addition to Electrical and Mechanical Systems, PAS is also certified to install PHILL Fuelmakers, a Natural Gas Refueling Appliance which is used to refuel the Honda Civic NGV or other NGV, from your home or business. We also install Bergey Wind Turbines and Solar Electrical and Thermal Hot Water Heating Systems. Copyright © 2012 Precision Air Systems. All Rights Reserved.